Sounds like we pretty much do the same thing PJ. As for the Bandon caddies, I remember that it was the same price if a caddie double-bagged or if we each had our own. Since it was the same, I decided that I wanted to experience a round with my own caddy, so my wife and I each got one. Mine was pretty good, but my wife loved hers and wanted to take him home! I said no. The Caddie I had I put up with. He was a nice enough guy but he always wanted to provide a lesson or two along the way. I finally told him to zip-it with the lessons on the second day. Just carry the bag and provide course advise. He did and we got along fine. Bandon sure is a cool place though. I ride 99% off the time, nobody really walks at my club and it's not really routedthat well for walking....plus it was 97 with a heat index is 113 here today. Both. Sometimes quick rounds won over exercise. Both, just depends on how I'm feeling that day. Just picked up a new cart bag, so even when I do walk now I don't have to carry anymore. It's a nice experience. 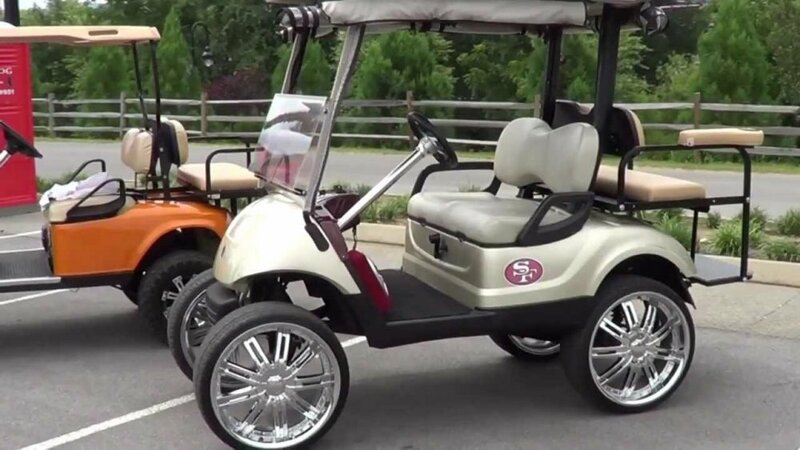 I always ride, but I also live on the course and have 2 golf carts. So it kind of defeats the purpose of driving my cart to the course only to leave it at the clubhouse and walk. Got any mods on that bad boy? Hook up speakers or put off-road tires? I just walked 9 holes for the first time since 2004 when I played in high school. All I can say is - regret. Wish I had a push cart lol. It's not often I ride. There are a few courses here that you have to cart which I do, but I quite enjoy the walk! Total game changer man. I carried my bag for 5 years like a sucker. Boy has my life changed since I got a push cart. I would've been happy with a cheap 2 wheel cart but my wife got me a sweet cliqgear for Father's day a few years ago. It's already paid for itself in cart fees. Both depends on the course, who, and when I'm playing.. With wife ride cause she likes to walk here and there but not the whole course. When I was in league it would depend on the course as we played 10 course in a rotation.. some cart was included other Not walking so it all depends.. I have just gotten back into walking and I am glad that I did. There is something about walking a course that makes it more enjoyable now and I feel like I make fewer mistakes because I have time to think about the next shot. I'm the same except for mens night is Tuesday. ... I had back surgery in 95 and asked my Ortho surgeon what he thought of double strap carry bags, when the double strap was just introduced. He said he LOVED the double strap as it was going to put all 3 of his kids thru college. LOL, the human spine is not meant to carry a heavy bag that puts it in an unnatural position and it just puts a lot of stress on the spine. He said some may go their whole lives carrying a bag with little to no problems but most will end up suffering some sort of back ailment. My best friend in NC coaches the girls high school team and assistant coach of the boys. All the girls use push carts and they won the state championship. But all the boys refuse to push a cart because "it isn't cool". ... But with the advent of push carts it should be irrelevant. I use a remote control cart and love walking the course for 1) my health 2) keeps me more involved in the game and my specific shots 3) keeps my back looser and warmed up and 3) allows me to take in the beauty of nature more than zipping by in a cart. We played yesterday on a course where the distance form green to the next tee can be insanely long and I was fortunate enough to be playing with my son and two of his 20 something friends that took carts. 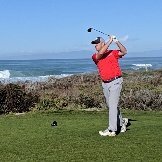 I was able to walk the course like I had a caddy as my pard drove and let me walk but ride the 3 holes with too much distance from green to the next tee. So I stayed loose and relaxed the whole round. Have my Clicgear, prefer to walk. Depends on the course I'm playing, who I'm playing with etc. Think I am able to focus on my game more if I walk. When I walk it's killing my legs back and neck, but after the round after short break I feel more energetic for the rest of the day. Unlike riding, sometimes I feel tired the rest of the day. ... I think you would feel equally energetic if you used a good push cart as you get the same benefits of walking and your neck and back will thank you.